Date: Dec. 3, 2018 Time: 8.45 a.m.
Venue : Dept. CFS, Polo ex-Guidotti (Aula GUID-5), via Trieste 38, Pisa. Date: April 26, 2017 Time: 8.45 a.m.
Venue : Palazzo Carità, Aula Seminari C, 2nd floor. Date: March 13, 2017 Time: 9.15 a.m.
A lecture by Concetta Luna (Scuola Normale Superiore, Pisa). 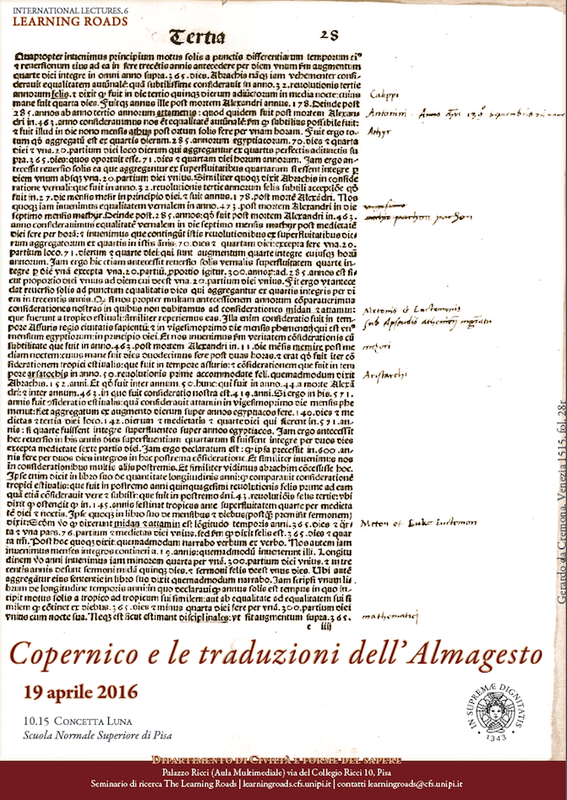 November 2015 saw the publication of the critical edition of Copernicus’ De Revolutionibus, the watershed work in the history of cosmology that put an end to the geocentric model of the universe. Thanks to the tireless effort and acumen of a team composed by Michel-Pierre Lerner, Alain Philippe Segonds (1942-2011), Jean-Pierre Verdet, Concetta Luna and other scholars working in connection with the Observatoire de Paris, the De Revolutionibus is now open to scholars, with complete annotation. 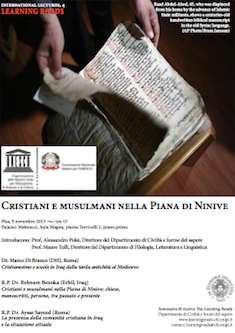 Cristiani e Musulmani nella Piana di Ninive – Pisa, Palazzo Matteucci, Aula Magna, November 9, 2015, 3:00 PM. The Niniveh Plain has been home to Christians since the 1st century AD. They have been forced to flee from their home by the Islamic State. In its attempt to destroy Christianity in Iraq, ISIS demolishes churches and burns libraries. The history of the Christian community and the present situation will be the focus of a meeting in Pisa, November 9th, 2015. 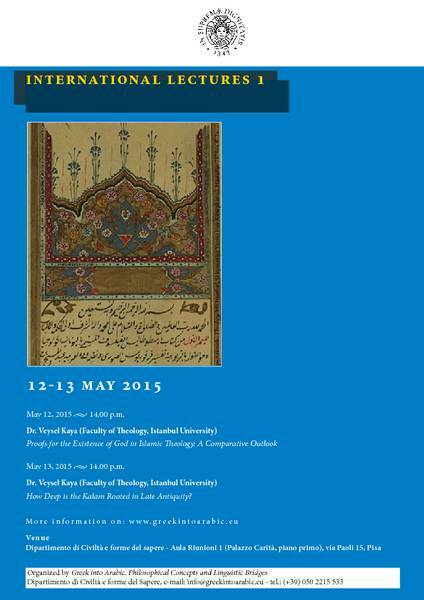 A lecture by Prof. Cecilia Martini Bonadeo – Rabat, June 1st, 2015. The international lecture “Looking for a teacher in Greek-Arabic sciences in the Muslim world between XIIth and XIIIth centuries: ‘Abd al-Latif al-Bagdadi’s intellectual Biography and Travels” by Cecilia Martini Bonadeo has been held in Rabat, June 1st, 2015. 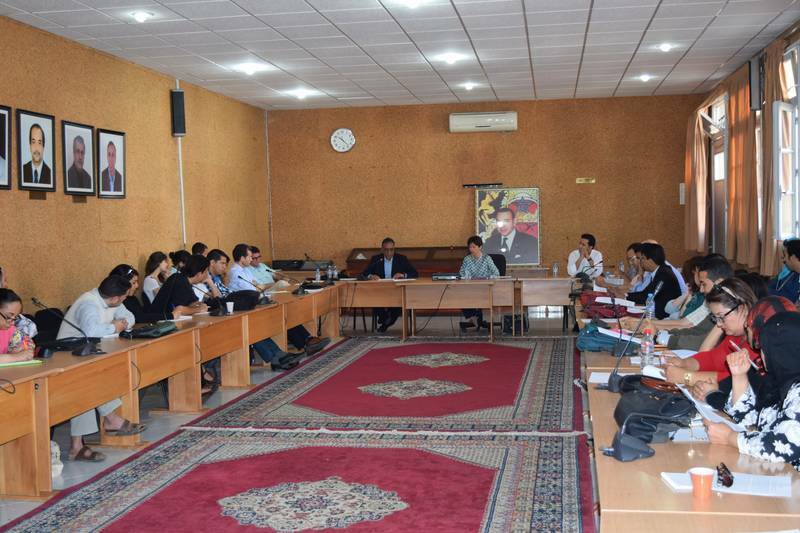 The meeting has been organized jointly by the Department of Philosophy, the Department of English Studies, the Department of Italian Studies and the Research Laboratory in Philosophy and Critical Thinking of the University “Mohammed V” of Rabat. Pisa, May 25, 2015 – 11.00 a.m. The Liber de Causis, Past and Future. The Research on this “source de la métaphysique au Moyen Age” and its Developments. 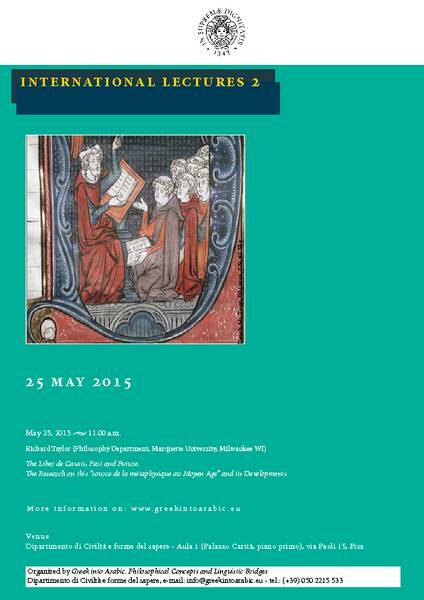 May 13, 2015 – 14.00 p.m. How Deep is the Kalam Rooted in Late Antiquity?